A post-mortem examination is due to be carried out on the body of a 14-year-old school girl whose remains were discovered in Lucan, Dublin. Gardaí were investigating the disappearance of Anastasia Kriegel when they found her body in a disused farmhouse on the Clonee Road. Anastasia, who was from Leixlip, Co Kildare, had been missing for three days. Gardaí say they are investigating all the circumstances of her death, but say it is being treated as suspicious. It is understood that she was found without her clothing and may have been beaten to death. Anastasia was last seen at St Catherine's Park at 5.30pm on Monday and her family had become concerned for her safety. Gardaí issued an appeal for information on her whereabouts and carried out extensive searches in the area, including underwater searches in the River Liffey and Grand Canal. St Catherine's Park comprises 200 acres of woods and grassland across Dublin and Kildare. 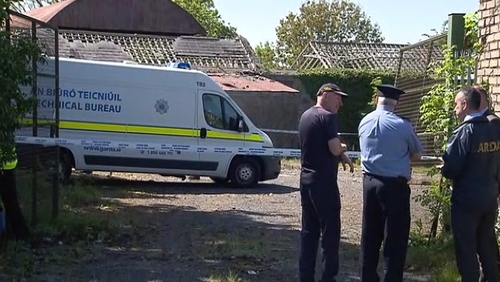 The area where the body was found has been sealed off and State Pathologist Dr Marie Cassidy conducted a preliminary examination of the scene. Gardaí at Lucan are seeking witnesses or anyone with information to contact them. They are investigating if Anastasia was with someone when she was last seen.